In last month’s blockbuster Man of Steel, Superman proudly fights alongside the U.S. Army and Air Force against the marauding forces of General Zod. But Superman has not always been so cozy with the military. The Last Son of Krypton started out demolishing slums in the name of social justice, avoided the draft in World War II due to his poor vision, spent Easter Sunday with orphans in the jungles of Vietnam and, two years ago, even renounced his U.S. citizenship. So why the big reversal? It might have something to do with the potentially millions of dollars the National Guard poured into Warner Brothers’ pockets. 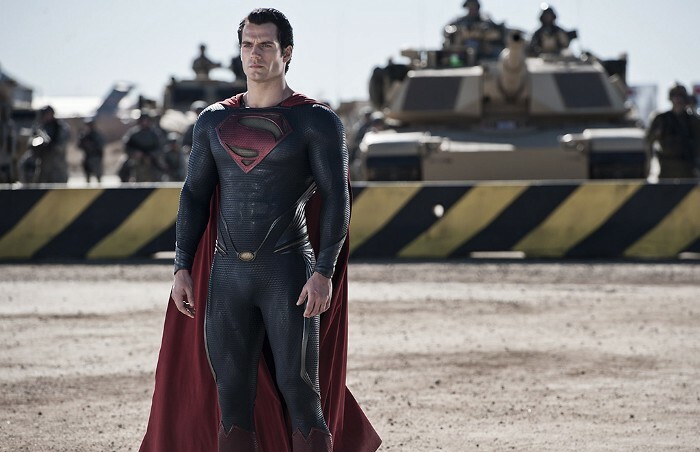 Man of Steel’s paying sponsors, the Guard among them, together ponied up $160 million for brand placements — quite possibly the most ever for a film. Not only does the National Guard’s sponsorship stink of propaganda — it flies in the face of 70 years of character development. Kal-El began his career on Earth as a reformer, a radical who fought for social change, and he wasn’t afraid to face down the military to accomplish what he felt was the greater good. His first meeting with the military comes in the 1939, in the pages of Action Comics #8. The story, “Superman in the Slums,” depicts the Man of Steel leveling a slum in order to force the government to rebuild affordable housing. The National Guard tries to stop him, and after deflecting their bullets and bombs, he flees the scene. The slums are rubble now, but emergency services respond and affordable apartment projects are erected. The battle in the wreckage set the tone for most of the rest of Superman’s career. The relationship between the Kryptonian and the U.S. armed forces will be tense. Superman will often help, but on his own terms. A two-page spread depicted Superman flying to Europe and Russia, pulling Hitler and Stalin from their hidey-holes and depositing them before the League of Nations. This little story, appearing outside of Kal-El’s normal home in Action Comics, was the most direct role Superman took during the war. 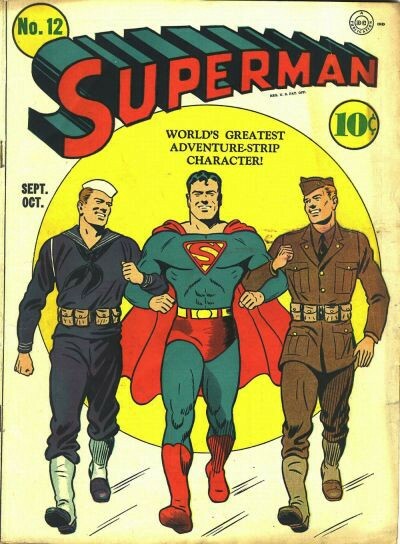 Looking at the covers of the Superman comics produced during World War II, readers might conclude that he was an active and vital part of the war effort. He was — but only as a morale booster … and a distraction. 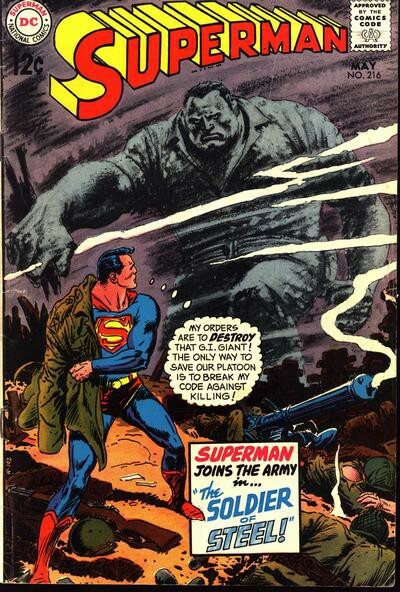 Behind covers depicting Superman walking arm and arm with soldiers were escapist stories of the Man of Steel fighting witch-doctors, aliens and Lex Luthor. While Captain America and other Marvel Comics heroes tore across the front lines, Superman stayed at home, reporting on the situation and providing comfort for servicemen and children by providing them with fantastical stories unconnected to the main war effort. Mostly unconnected, that is. When Maj. Gen. Walter R. Weaver of Air Force Training Command heard his technicians grumbling that they’d rather be in combat than serving as mechanics, he turned to DC Comics for help. “I Sustain the Wings,” printed in Superman #25, sees Clark entering Air Force training at Yale University to disprove allegations that the program is soft. If it’s good enough for Superman, Hell, it’s good enough for the rank and file. To be fair, it’s not exactly Clark Kent’s fault he can’t make it to the front in World War II. Like all good patriots he attempts to enlist, but accidentally activates his X-ray vision during an eye exam, reads the wrong chart and is given 4-F classification, making him ineligible for military service. After the end of World War II, Superman became a super citizen. The ‘30s reformer who attacked corrupt politicians and lobbyists reformed into the model citizen of Eisenhower’s America. Kal-El knew well enough to stay out of the messy Korean conflict, but he could not stay away from war forever. In a story in Superman #216 set during the Vietnam War entitled “The Soldier of Steel” — coincidentally also the name of the National Guard’s current Superman-backed recruitment drive — the Daily Planet is flooded with letters from soldiers begging for Superman to intervene. The letters move Clark and his love interest Lois Lane to enlist as medic and nurse, respectively. Clark finds himself in the jungles of Vietnam rescuing soldiers and even saving an orphanage. The villain of the story is Dr. Han, a sinister figure who has transformed the son of an American general into the twisted monster King Cong. Unable to remember his former life, Cong attacks his platoon mates. Superman is able to subdue Cong long enough for Dr. Han’s chemicals to wear off. King Cong, remembering his father and fellow soldiers, storms out of the jungle, firing on the enemy as he goes and the comic closes with Superman helping the orphans he rescued put on an Easter show. During the long conflict between the Soviet Union and the United States, the last son of Krypton took two very different courses of action. The Dark Knight Returns, published in 1986, did much to revitalize Batman’s career, but depicted Superman in an unfavorable light. In Frank Miller’s acclaimed story, Clark Kent is known to the world over as Superman and has become U.S. Pres. Ronald Reagan’s personal enforcer. Miller’s Superman is the military incarnate, directly attacking the Soviets and even intercepting nuclear missiles aimed at the U.S., like a living version of Reagan’s Star Wars missile shield. Soldiers are comic relief in Richard Donner’s film. Troops are so enraptured by a pretty girl that they let a nuclear weapon slip from their custody. The fourth Reeves film, 1987’s Quest for Peace, is even more anti-military. The movie opens with a derelict satellite crashing into a Russian space station, and Superman rescuing a Kosmonaut flung from the station by the impact. Superman addresses the United Nations, declaring that he’ll end the threat of nuclear war. He makes good on this promise, plucking nuclear missiles from the skies above America and Russia and hurling them into the sun. 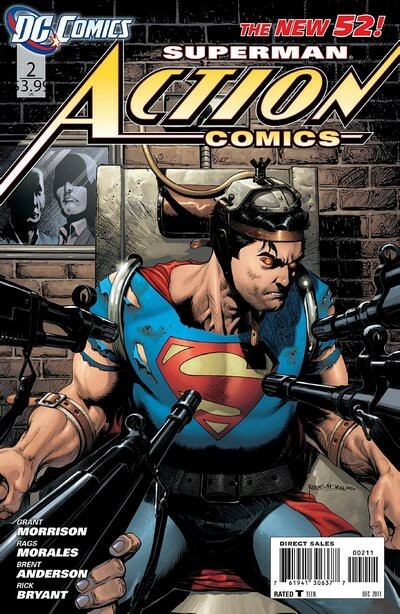 Action Comics published its 900th issue in 2011. In the story “The Incident,” written by Man of Steel screenwriter David Goyer, Superman flies to Azadi Square in Tehran to join the mass of protesters. For 24 hours a super-powered alien from Kansas stands between the citizens and the army. As he flies away he witnesses a scene reminiscent of Marc Riboud’s famous photograph of a Vietnam War protester giving a flower to an armed soldier. Two years later, DC Comics rebooted its universe. Action Comics, in uninterrupted publication since 1938, had its counter reset to zero. Its new version of Superman is, once again, at odds with the Pentagon. The opening story arc returns Superman to his roots as a crusader for social justice. He leaps about the city of Metropolis, rooting out corruption while pursued by the military. Later in the issue, Lois confronts her father, General Lane, about Kal-El’s detention. “He’s a good person,” she says. “Who doesn’t officially exist,” is her father’s reply. In the end, Kal-El escapes, and proves his value to the military by helping fend off an invasion from a bigger and nastier threat than himself. Superman doesn’t bear a grudge against the military for their actions. As always, Clark turns the other cheek. Towards the end of Man of Steel, Clark downs a Predator drone that was following him and trying to find where he “hangs his cape,” according to the U.S. officer assigned to oversee Superman. The alien and the officer exchange terse words and agree they’re just going to have to trust each other. Superman explains that he’s willing to help America, but it’s going to be on his terms. The conversation can be seen as a belated, half-hearted effort on the part of the filmmakers to reconcile the classic non-aligned Superman with the more pro-military version depicted in Man of Steel — the one that earned Warner Brothers presumably million of dollars in National Guard sponsorship. 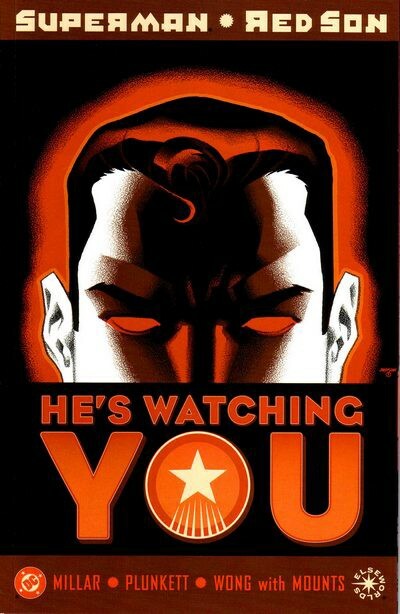 Superman is an important piece of American mythology because he represents absolute power that does not corrupt absolutely. Except maybe in this case.